All MARYVALE TERRACE 4B LOTS homes currently listed for sale in Phoenix as of 04/20/2019 are shown below. You can change the search criteria at any time by pressing the 'Change Search' button below. 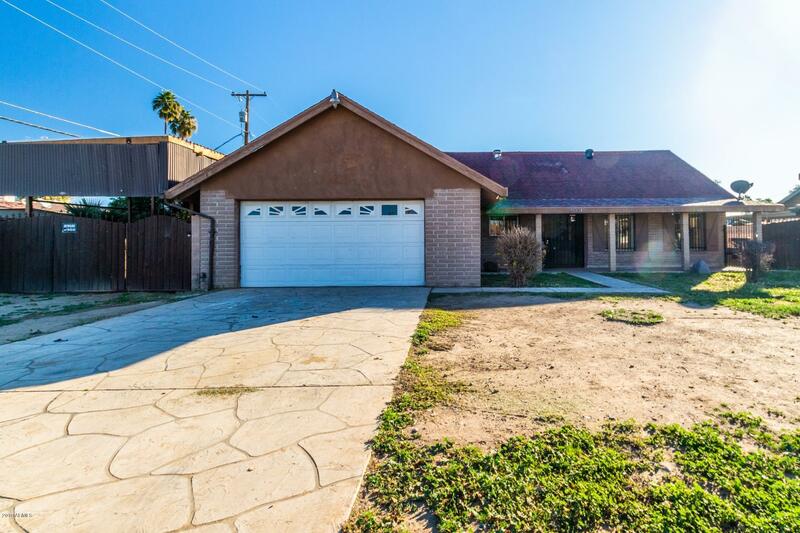 "Charming brick home located near Grand Canyon University Golf Course and all the necessary amenities! This home boasts beautiful tiled floors and stark white kitchen cabinets! Hardwood flooring adds a unique blend of finishes to this home. Enjoy this backyard under the covered patio and delight in the fenced-in pool. Grass and mature palms combined, add your own TLC and create your own AZ oasis! RV gate and parking is always a plus! Built on a cul-de-sac lot provides low traffic and quiet."